All right folks, it's not baseball, but it adds to another favorite sport: College Hoops. We are doing this. Please add to the discussion. 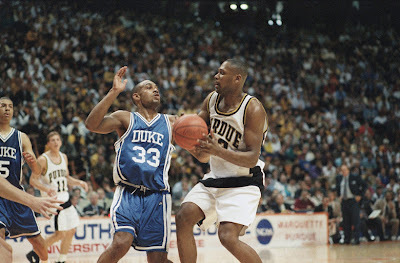 What is your Top 5 lineup for NCAA hoops of players from 1990 - today? This is a social media survey from great Terrapin, Laron Profit, with help from Dave Zirin of @EdgeofSports. 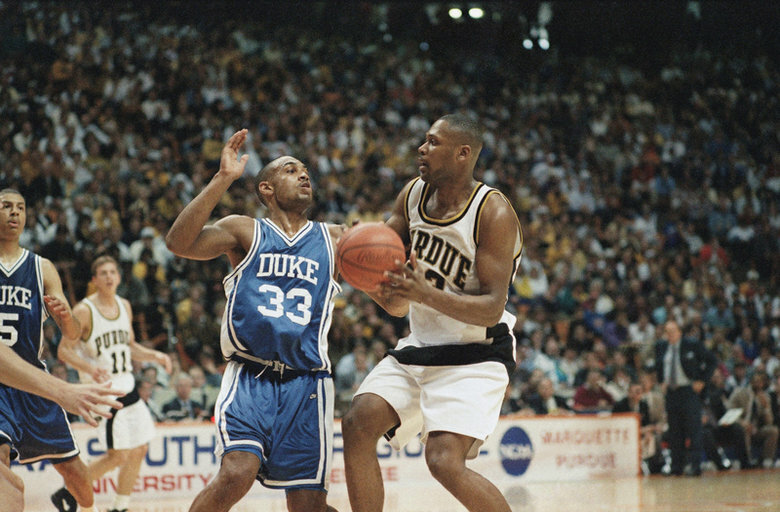 Profit asks, "Me and @EdgeofSports are trying to see the best starting line-up of players starting in 1990 in college bball by position... Gimme yours"
Big Dog averaged 30 pts / 10 rebs in '93-'94, when the Big Ten was good. Understanding that most people here are friends, family, and seamheads, if you are so inclined, please add to the discussion on Twitter or Disqus below. Hopefully, we'll have additional baseball discussion soon.